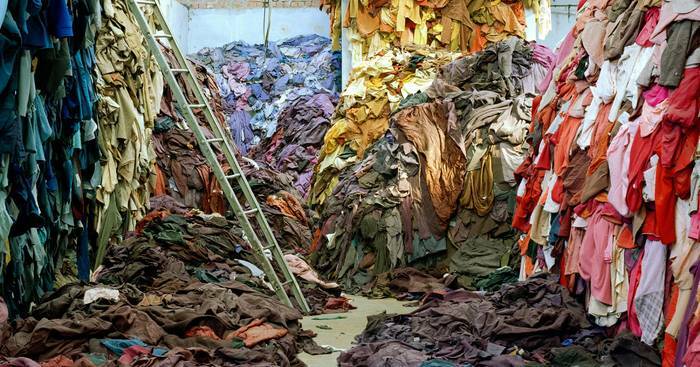 In the U.S., 13.1 million tons of textiles are disposed yearly, of which only 15% are recycled or donated. During production, textiles which are not up to standard are trashed along with garments with manufacturing defects or those that are stained. A common process in the fashion industry is to throw away the fabric near the ends of the rolls (selvedge) as they usually have a different texture and are lacking the print present on the rest of the roll. Out of convenience, large clothing manufacturers often dispose of these along with metres of material that are insufficient for another economic production run. These unused textiles are labelled as deadstock (e.g. flawed fabric, left over fabric from mills and garment factories) and go to waste.